The Middletown Insider: Goodspeed Musicals - Last Chance to Get Season Tickets! 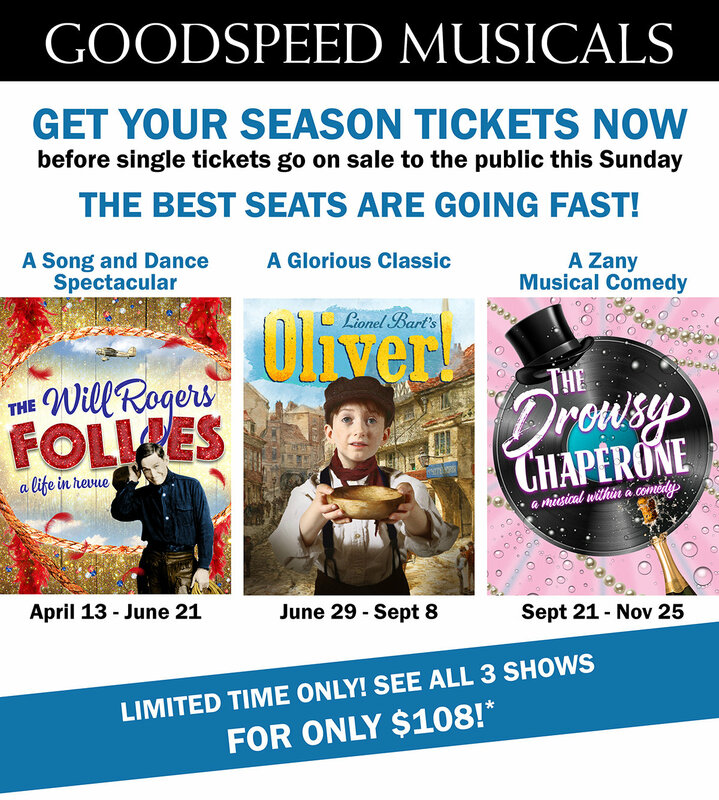 Goodspeed Musicals - Last Chance to Get Season Tickets! THE WILL ROGERS FOLLIES: This Tony Award-winning Best Musical tells the spirited rags-to-riches story of the beloved stage, screen and radio star in an exuberant Ziegfeld Follies-style extravaganza. THE DROWSY CHAPERONE: When a diehard theatre fan plays his favorite cast album, the characters come to life in this hilarious musical comedy featuring one show-stopping song and dance number after another. Call the Box Office Today! *$108 Supersaver available for select seats and dates. Limited time offer.